Charles Babbage Research Papers go into a brief biography of this man and his accomplishment of being considered to have been the inventor of the digital computer. 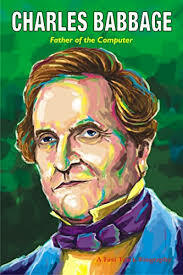 Charles Babbage (1791-1872) is considered by many to have been the “inventor” of the digital computer. He began his education at Trinity College, Cambridge, but, over-shadowed intellectually by some friends there, he transferred to Peterhouse. This incident was one which revealed certain dysfunctional aspects of his personality, among which was a delicate ego that craved adulation. Heydt notes that in 1907 Sir Victor Horsley dissected Babbage’s brain (which had been preserved in alcohol) in the hopes of finding a physiological key to brilliance and that Horsley later described the person from whom the brain had come as “one of the queerest fish that ever lived”. He was enormously eccentric, e.g., he hated music and was something of a misanthrope. Babbage was one of the greatest “practical thinkers” to ever dwell in the land of mathematics. The claim that his “difference engine” was the precursor to the modern computer is a valid one. Noting that large sets of computations made by human beings—as in those that went into the creation of such statistical compilations as annuity tables—were filled with errors, Babbage hoped to create a machine that would not only automate the calculating process, but also, print out the results, the last being necessary to avoid human transcription errors. He created a working prototype of his “difference machine,” and obtained government funding for a larger model. The attempt to build the larger machine ran into technical and financial difficulties and these were exacerbated by Babbage’s abrasive interpersonal style. While working on this project Babbage came up with the conception of an “Analytical Engine,” a machine which would be able to perform more elaborate computations than the Difference Engine and would be more simple and less expensive to build. By that time, however, his credibility with potential suppliers of funds was shot. Babbage was not the first person to use machines to process numbers. Geared computing machines had existed as early as the 17th century. It was part of Babbage’s genius that he conceived of machines which would be able to manipulate higher order algorithms than mere addition, subtraction, etc. This allows for the performance of computations that are far more complex and sophisticated than the application of simple arithmetic to groups of numbers and, as the subsequent history of the digital computer has shown, the notion that there are operational hierarchies of algorithms, allows for the almost infinite flexibility and sophistication of these “analytical engines”. Charles Darwin - While Charles Darwin may have started out to explain the science of nature, he succeeded in influencing the course of psychology along the way. Charles Manson- Charles Manson Research Paper looks at the life of this man and the murders he committed. Dorothea Dix- Dorothea Dix Research Paper looks at the way this woman's perceptions of the treatment of the mentally ill changed the world's view. Freud - Research on Sigmund Freud and his work in the field of psychology. Order a research paper on Freud from Paper Masters. Paper Masters writes custom research papers on Charles Babbage and go into a brief biography of this man and his accomplishment of being considered to have been the inventor of the digital computer.